CHICAGO, ILLINOIS. Marvin Reeves, 56, stands near the front of the house he bought for his daughter in the Greater Grand Crossing neighborhood on November 29, 2015. 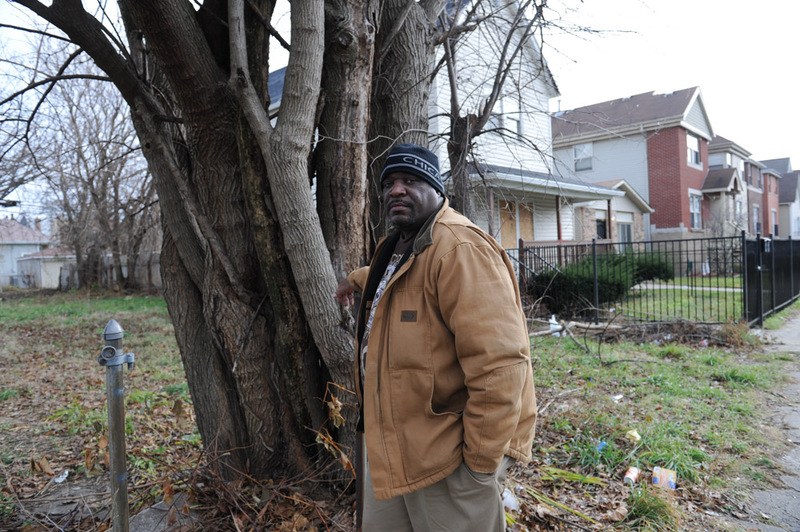 Reeves purchased and renovated the house with money he received in settlement from the City of Chicago after a codefendant, Ronald Kitchen, and he were both tortured and Kitchen confessed to a crime both were innocent of; Reeves spent 21 years incarcerated from 1988-2009 for a South Side arson that killed two women and three children and had received five consecutive life sentences.